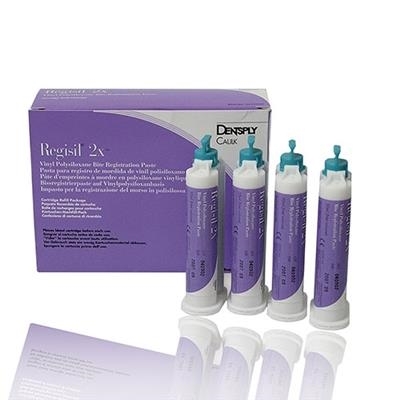 Vinyl polysiloxane bite-registration material designed for accurate, interocclusal bite records. No unpleasant odors or taste. 50-mL split-cartridge delivery system for easier dispensing.